Facebook has been asked to change the name of its new app Paper by a firm which has an app of the same name. The original Paper was developed by start-up FiftyThree and won Apple’s 2012 iPad app of the year. It allows people to sketch on their iPad and has garnered 100 million users. 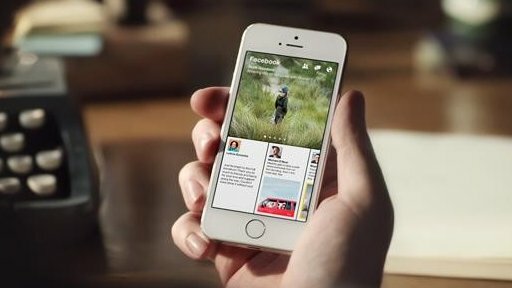 Facebook’s Paper is designed as an alternative way to read newsfeeds. The social network has not commented on the request to alter the name. Facebook’s Paper had largely positive reviews when it was released on Apple’s iTunes store on 3 February, with some saying it was better than the Facebook app. It provides both human and algorithm-generated articles and photos in a range of categories. It is currently only officially available in the US. But not everyone is impressed by the latest innovation from the social network. “It came as a surprise when we learned on 30 January with everyone else that Facebook was announcing an app with the same name,” wrote FiftyThree co-founder Georg Petschnigg in a blog post. “We think Facebook can apply the same degree of thought they put into the app into building a brand name of their own. “Facebook should stop using our brand name,” he added. He goes on to point out that one of Facebook’s board members is an investor in FiftyThree. Paper and other standalone mobile apps are seen as an important part of Mark Zuckerberg’s vision for the future of the social network, which turned 10 on 4 February.